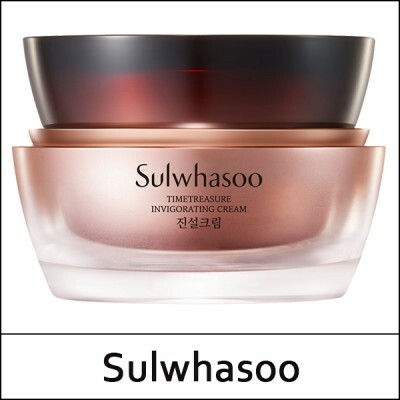 A premium anti-aging cream formulated with the vitality of red pine and pine mushroom minimizes signs of aging by promoting youthful, healthy-looking skin. The anti-aging cream helps promote the look of skin strength and vitality with the power of red pine. Red pine and pine mushroom deliver healthy elasticity to the skin. DAA is an anti-aging ingredient found only miniscule amout in red pine that addresses skin’s signs of aging while leaving skin looking healthier and appear firmer. A bouncy, resilient texture that instantly wraps around the skin. The bouncy texture allows the cream to glide on smoothly and evenly veils the skin with long-lasting moisture. After applying Timetreasure Invigorating Eye Cream EX in the morning and evening, dispense an appropriate amount on your palm and use all fingers to gently spread on your face starting from the center of the face and work outward.